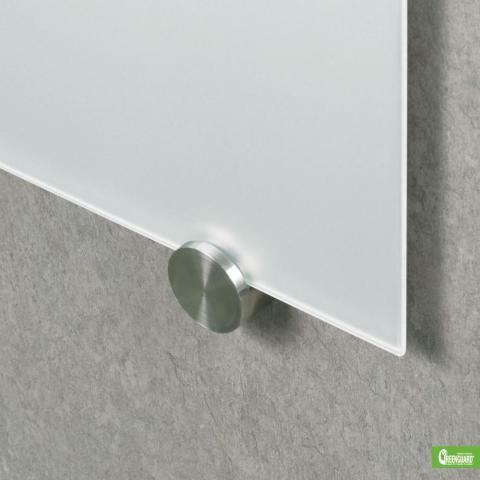 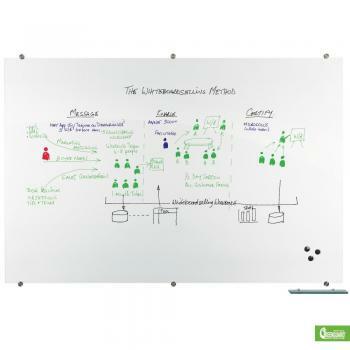 Glass dry erase boards are stylish and functional. 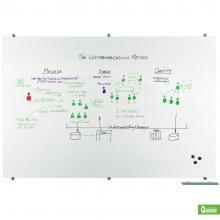 This magnetic dry erase surface accepts dry/wet-erase markers, grease pens, etc. without ghosting or staining. 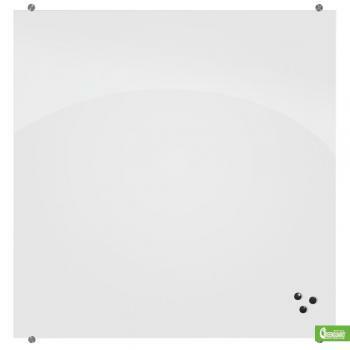 Available in many sizes, an aluminum accessory tray, magnets, markers and an eraser are included. An optional glass accessory tray is available separately. 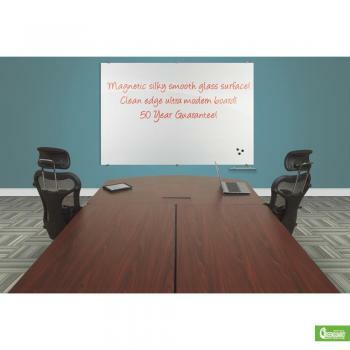 This board is backed with a 50-year manufacturer guarantee.